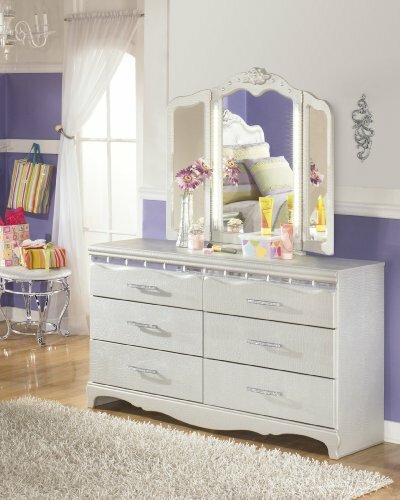 Create a bedroom d?cor that is worthy of the princess in your life with the elegant beauty of the ?Julia? youth bedroom collection. With the silver pearl finish of the 3D press technology creating smooth edges and a unique design along with the flowing button tufted upholstered headboard adorned with faux crystal buttons, this bedroom collection captures the pure magic of youth.